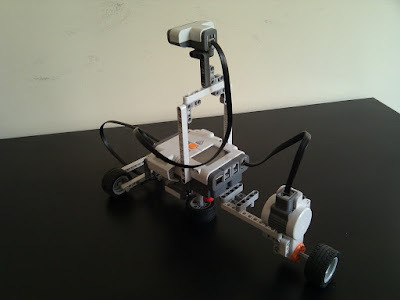 This is my first Mindstorms robot. 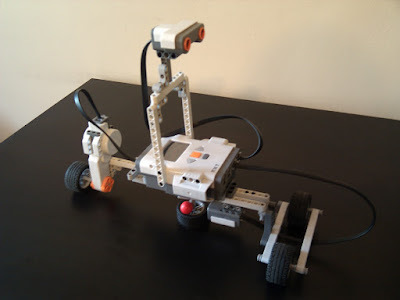 It rotates around the vertical axis while gathering data from the ultrasonic sensor. Every time it makes a full circle it plots the gathered data on the display. The results are mixed. Can you guess what the red ball is for? 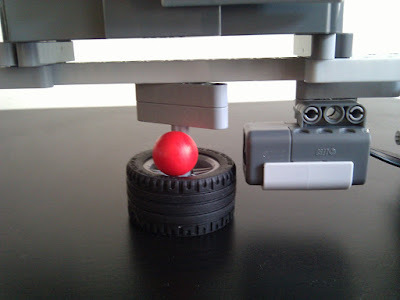 OK, so the red ball is there so that the robot knows it made a full circle. You can see that the color sensor rotates with the rest of the robot while the ball remains still. Here's the source code for the program that the robot is running.